The Federal Court of Appeal has overturned approval of Enbridge's controversial Northern Gateway project after finding Ottawa failed to properly consult the First Nations affected by the pipeline. "We find that Canada offered only a brief, hurried and inadequate opportunity … to exchange and discuss information and to dialogue," the ruling says. "It would have taken Canada little time and little organizational effort to engage in meaningful dialogue on these and other subjects of prime importance to Aboriginal Peoples. But this did not happen." The majority ruling was signed by two of the three judges on the Appeal Court panel. Judge Michael Ryer wrote a dissenting opinion. Pipeline opponents have called the decision "landmark." "At every turn you're going, you are seeing nails in the coffin of the Enbridge project," said Peter Lantin, president of the council of the Haida Nation, one of the parties that appealed. "I don't think there's enough room for another nail in the coffin." "First Nations, local communities, and environmental interests said no to Enbridge 12 years ago when it first proposed the project. And now that "no" has the backing of the courts," said Ecojustice lawyer Barry Robinson. "Between on-the-ground opposition and the federal government's promises to keep B.C. 's North Coast tanker free and demonstrate climate leadership, this pipeline is never getting built." Northern Gateway president John Carruthers issued a statement saying Enbridge will consult with Aboriginal groups, but is still committed to the project and "protecting the environment and the traditional way of life of First Nations and Métis peoples and communities along the project route." 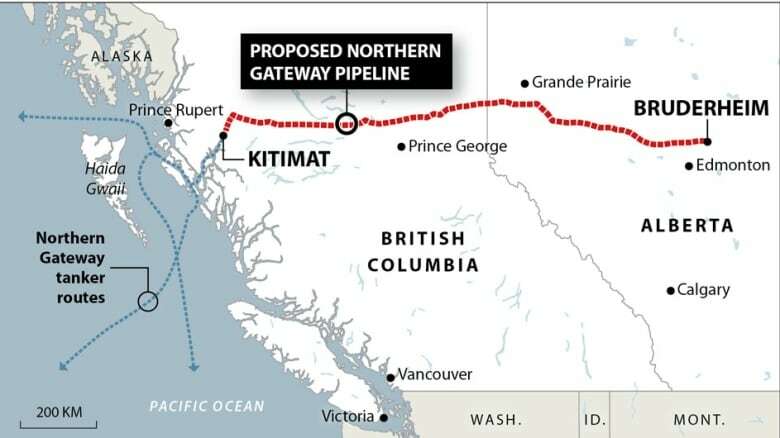 The federal government gave the go-ahead to the Northern Gateway project after a National Energy Board joint review panel gave its approval subject to 209 conditions. But the government was also supposed to meet a constitutional requirement to consult with Aboriginal Peoples following the release of that report. Nadleh Whut'en and Nak'azdli Whut'en. Their traditional territory includes the waterway that would be used by tankers, the Kitimat terminal and some of the land the pipeline would cross. The ruling noted that the Aboriginal groups generally availed themselves of the joint review panel hearings, submitting both oral and written testimony to the NEB. 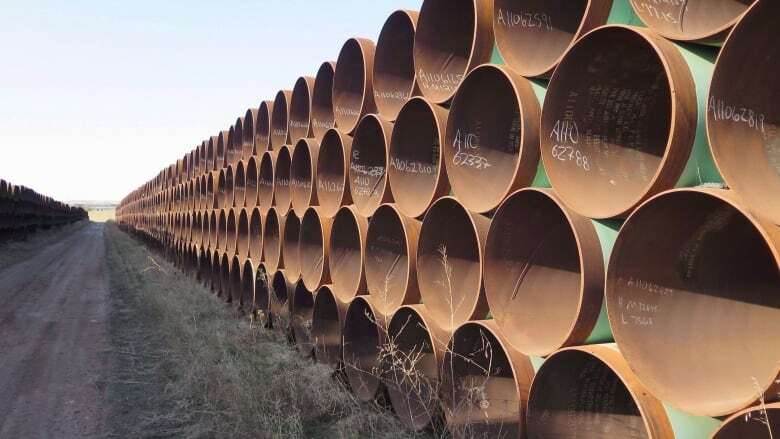 But the release of the joint review panel report was only the third step in a five-part process before the permit to build the pipeline could be issued. In the fourth phase, the Crown was supposed to consult with Aboriginal Peoples "on any project-related concerns that were outside of the Joint Review Panel's mandate." The Appeal Court ruling says the standard for consultation doesn't have to be perfection, but rather "whether 'reasonable efforts to inform and consult' were made." The judges found the federal government had not met that standard. "The inadequacies — more than just a handful and more than mere imperfections — left entire subjects of central interest to the affected First Nations, sometimes subjects affecting their subsistence and well-being, entirely ignored," the ruling says. "Many impacts of the project — some identified in the Report of the Joint Review Panel, some not — were left undisclosed, undiscussed and unconsidered." The appeal court also pointed out that this was not a case where the proponent of the project itself had failed to reach out to Aboriginal Peoples. "Far from it," the ruling says. "Once the pipeline corridor for the project was defined in 2005, Northern Gateway engaged with all Aboriginal groups, both First Nations and Métis, with communities located within 80 kilometres of the project corridor." In what the judges themselves described as a "complicated" case, the Appeal Court was also asked to consider the legal viability of the order in council which allows the government to issue a certificate for the project. The court found the government is entitled to come to a decision by balancing the economic, cultural and environmental considerations affecting the project. But because of the Aboriginal consultation, the panel quashed the approval of the pipeline. In his dissenting opinion, Ryer said he found the government had adequately consulted with First Nations. He rejected the assertion that the pipeline would affect governance rights of asserted Aboriginal title. The judge said he agreed with the Crown's assertion that it had created an extensive consultation process through means which included the joint review panel and that many of the First Nations' concerns were addressed in the NEB's 209 recommendations. The ruling says the government can now reconsider the submissions which are already on the public record in order to consider the concerns of First Nations or they can redo Aboriginal consultation. Either way, once the process is completed, the approval of the project will go back to the federal government for consideration. Alberta explores electricity-for-pipeline access trade deal with B.C.